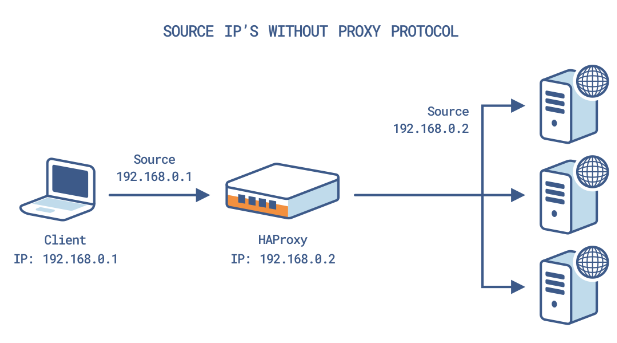 The Proxy protocol is a widely used invention of our CTO at HAProxy Technologies, Willy Tarreau, to solve the problem of TCP connection parameters being lost when relaying TCP connections through proxies. 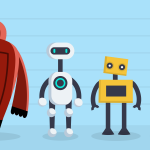 Its primary purpose is to chain proxies and reverse-proxies without losing client information, and it’s used and supported by AWS ELB, Apache, NGINX, Varnish, Citrix, and many more (here’s a longer list of Proxy protocol supported technologies). Why use the Proxy protocol? Well, when you lose client information like IP address when relaying connections through proxies, this tends to prevent you from being able to implement some pretty basic IP-level security and logging. In this post, I’ll show you how to use the Proxy protocol with HAProxy to enhance the security of your database. Let’s take a step back and explain a bit (Proxy protocol experts can skip this section). 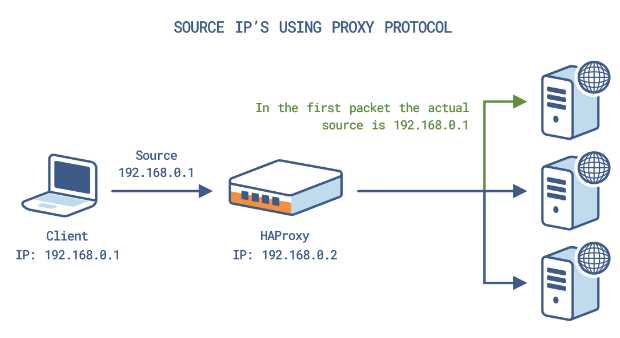 A proxy uses its IP stack to connect to remote servers, but this process normally loses the initial TCP connection data, including the source IP address, destination IP address and port number. Traditional workarounds to this problem include Tproxy, which requires you to compile your kernel and set your proxy as your server’s default gateway. Furthermore, Tproxy can’t pass IP packets through firewalls that use NAT. You can also use HTTP X-Forwarded-For headers to retain TCP connection data, although this approach only works for HTTP. Many of these workarounds also require either a specific protocol or architectural changes, which prevents you from scaling up. The Proxy protocol is protocol independent, meaning that it works with any layer-7 protocol. It doesn’t require infrastructure changes, works with NAT firewalls, and is scalable. The Proxy protocol’s only technical requirement is that both of the connection’s endpoints must be compatible with the Proxy protocol. 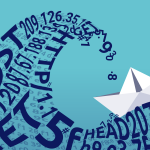 These endpoints could include proxies, reverse-proxies, load-balancers, application servers and WAFs. An HAProxy server running without the Proxy protocol can create a couple security problems when you grant users access to the MySQL servers behind it. The above example shows that a host on or behind the HAProxy server at 192.168.122.64 has issued a query that is suspicious or has performance issues, but we can’t identify the host. You could review the HAProxy logs for activity that occurred around the indicated time to identify the host, but this approach is usually impractical due to the delay between the timestamps of the HAProxy and MySQL logs. The second security issue you may face from seeing the incorrect IP address is that MySQL grants can no longer allow just one client to use a given username if it is allowed to access MySQL through the HAProxy server via its firewall/acl’s, as to MySQL all IP’s look the same. With the Proxy protocol you can maintain better privilege segregation between databases even if an attacker manages to get the password for a MySQL user dedicated for another client. Now here’s the good part: how to install, configure and use the Proxy protocol with a MySQL database. Note: you can use either HAProxy Community or HAProxy Enterprise with these instructions. The instructions on the Percona website provide the details for installing Percona Server. Restart HAProxy after adding the grant statements to the Percona server. The HAProxy server will use these grants instead of the existing grants once the Proxy protocol has been enabled on the HAProxy and Percona servers. 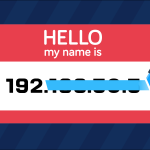 The above statement will accept a single IP address, multiple IP addresses separated by commas or a masked IP address like 192.168.122.0/24. An asterisk (“*”) for the IP address will cause the server to accept the Proxy protocol from any host, although this isn’t recommended for security reasons. These IPs must be trusted to send correct Proxy protocol information before adding them to the list. Note that Percona won’t accept the Proxy protocol from 127.0.0.1 even if it is in proxy_protocol_networks; so if you are running HAProxy on the same server that you are running Percona on this issue may rear its ugly head. Add an entry for each HAProxy server that will handle traffic to a Percona server. You must enable the Proxy protocol for the Percona and HAProxy servers or disable it for both at the same time. If the Proxy protocol configurations of the HAProxy and Percona servers don’t match, the connections will fail with a “packets received out of order” error. You may also want to configure the firewall on the Percona server to only accept connections from a HAProxy server, which ensures that clients must use a HAProxy server to access the Percona server. The status of the Percona server will be marked as “down” in HAProxy after you enable the proxy_protocol_networks statement on the Percona server, provided you didn’t manually disable it during transmission (and are following this guide in order and haven’t added send-proxy yet). This problem occurs because Percona now requires the Proxy protocol but HAProxy isn’t yet sending it. You’ll fix this in the next step. Health checks will mark the node as down until send-proxy is added (and regular connections through it will encounter the same error). 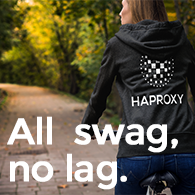 The above statement tells HAProxy to send the Proxy protocol packet for both health checks and normal connections. If you are chaining multiple HAProxy servers together you may wish to use send-proxy-v2 instead of send-proxy. Its a newer version of the protocol that is binary rather than text so is faster to parse. The downside is that servers need to support v2 of the protocol (Percona server does, so you can just put send-proxy-v2 in and it will work as expected) and that debugging its parsing is a bit more difficult from a packet capture. With this added HAProxy will also send the Proxy protocol for health checks, but the result won’t be used by Percona as it won’t accept 127.0.0.1; as such your existing grants for health checks will continue to be used. The previous output is produced by the same query (and from the same node) that was shown in The Database Security Problem section, but we can now see that the client’s actual IP address is 192.168.122.1. You can also run grants on the MySQL server with the client’s real IP address instead of just the HAProxy server’s IP address. This change is primarily useful to better understand the items in the grant tables during later changes/audits and to ensure that users can only access select user accounts from select IP addresses. Congratulations on your new level of data security! Want more information? Here’s another guide to using the Proxy protocol with a Percona server. Hello, it’s possible with Galera ? To be fair, while the initial thoughts leading to the Proxy protocol started in 2008 while trying to implement XCLIENT in haproxy 1.3 and/or to find a simpler alternative, the proxy protocol v1 design was the result of some work done with Emeric to ease integration with stunnel before we had support for native SSL. By the way I suggest that everyone uses send-proxy-v2 instead of v1 wherever possible, it’s the only one which can pass extra information (SSL cert, SNI, ALPN, …) and is much faster to produce and to parse since it’s binary. It’s also more robust against misconfigured servers as it was designed to produce a quick error on most protocols if the server is not configured so support it.